When we first started planning our overland travel it was easy to decide what car we'd take. Our 2004 Toyota Highlander. It's 4 wheel drive (which is critical given some of the roads we drive on) and has enough room for all four of us, and with a few modifications, all of our stuff. The modifications involved removing the third row of seating to get more storage room and adding a car top carrier. Ever little inch of extra storage matters when you are travelling with a family. It actually gave us more storage than it looks like in this picture. This carrier has been invaluable. It's also been fun to add stickers to it when as we hit new places. Best of all, the carrier only cost us a IKEA Bed frame and mattress! We needed a GPS. Our car does not have one and we knew we couldn't rely on our phone cell signals. We needed a stand-alone unit. After a good deal of research I decided on the Garmin nuvi 2597. It boasted "Preloaded City Navigator for North America" and "Free Lifetime Maps and Traffic Updates". The cost was ~$170. 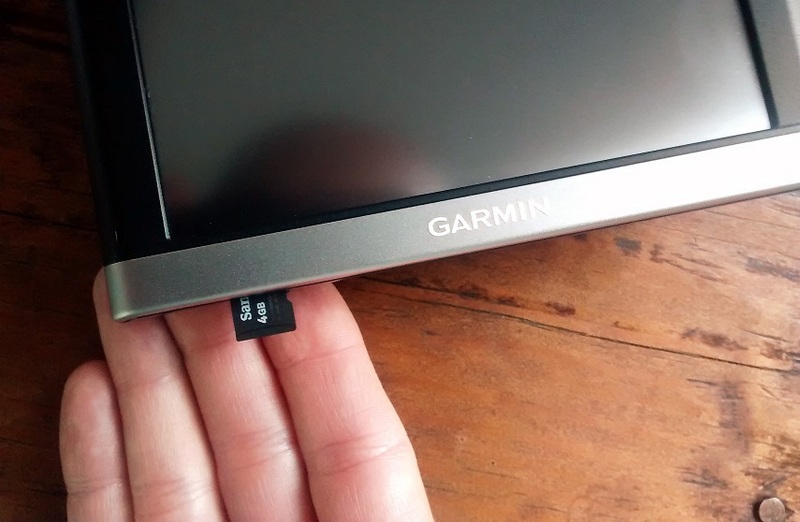 The Garmin nuvi 2597 comes with a 5 inch high resolution touch screen and voice navigation. On the bottom of the unit is a micro SD card slot. Using a standard micro SD card you can add different maps. I went online and found several websites that sold GPS maps specifically for Guatemala for ~$50. However, they didn't come with free lifetime updates, AND more importantly, they were only good for one country. Since we knew we'd be bouncing around other countries in Central America, this was no bueno. A friend in Guatemala told us to buy a good paper map of Guatemala and we'd be set. Initially we did this. It helped but, as we wrote in "Driving in Guatemala -- We aren't in Mexico anymore!" and "One Wrong Turn and a Lot of Surprises", a paper map was limiting. We needed a better solution. OpenStreetMap (or OSM) is a free, open source, and collaborative project that creates editable GPS maps. Think of OSM as wikipedia for maps. Like wikipedia the maps are built and improved upon by a very active community. They are frequently updated and totally free. It is easy to get the maps you need. Just go to http://garmin.openstreetmap.nl/. You'll be presented with a few options to select. I recommend you skip down to the 4th section where it prompts you to "Enable manual tile selection". Click the check box and scroll down to the map. Free GPS maps of the entire world are only a few clicks away. Choose the rectangular sections of the globe you want maps for, enter your email address and click "Build my map". You'll receive two emails. The first will confirm that your request is being processed. The second will notify you when your map is ready to be downloaded. While you can select an unlimited number of sections on the map I'd recommend being conservative. The more you select, the longer it will take to process and download. More importantly, it will take longer for your GPS to plan routes. Your new maps are now on your GPS and ready for use. The only remaining step is to go into the settings/options on your GPS unit and select your new map as the one you want to use. The menu selection will vary by make and model. The selection path for my unit is Settings > Map & Vehicle > myMaps. I've used OSM successfully in both Guatemala and Panama. They've worked great. I've even updated the Guatemalan maps once. All for free. I recently downloaded and added maps for Belize, Honduras, El Salvador, Nicaragua and Costa Rica. The maps for the US and Mexico are also still on the unit but I've deactivated them so that the GPS does not search them for possible locations. While the directions above are step by step specific to Garmin, OSM is not limited to Garmin devices. They are open source and will work on any GPS device. I've even used OSM maps on my android cell phone with ORUX (an open source map program highlighted in this post). You might need to research the specific steps if you don't have a Garmin. 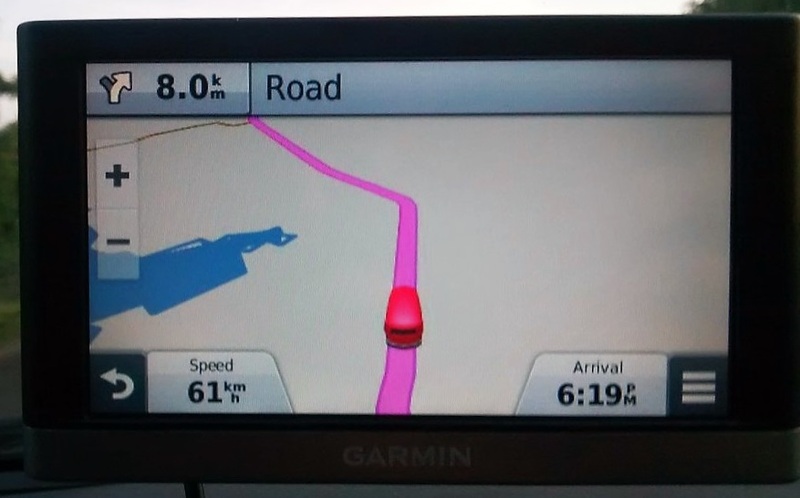 It's important to note that using a GPS in a foreign country can be tricky. Addresses in Central America are formatted differently than they are in the States. Sometimes they are not even documented, and some streets are unnamed. Because of this you can't always rely on the ability to input a specific address. We were driving on "the Road" and in 8.0 km we needed to turn right onto "the Road". Even though the roads weren't specifically labeled, we arrived at our destination without any trouble. To overcome this we either enter the name of the location where we're going like "Immigration, Guatemala City, Guatemala" or we enter the name of the town we are going to and simply ask a local for the location of the specific place we are going when we reach the town.